While doing the rounds of the weekend Yard Sales, I came across a true, hard-core Professional. 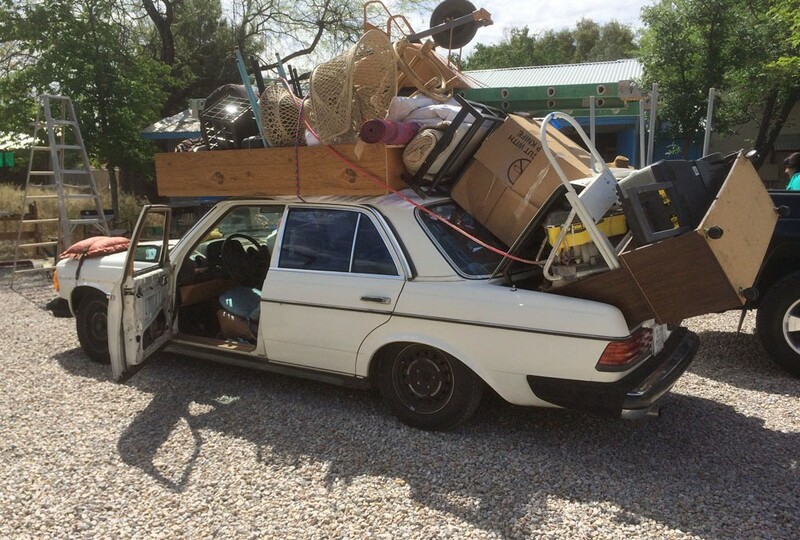 Clearly not willing to let the lack of an appropriate vehicle get in the way of buying a lot of stuff, this person just keeps adding to the stash. Bungee Cords, rope and a keen sense of balance are all in play, and it seems to work. 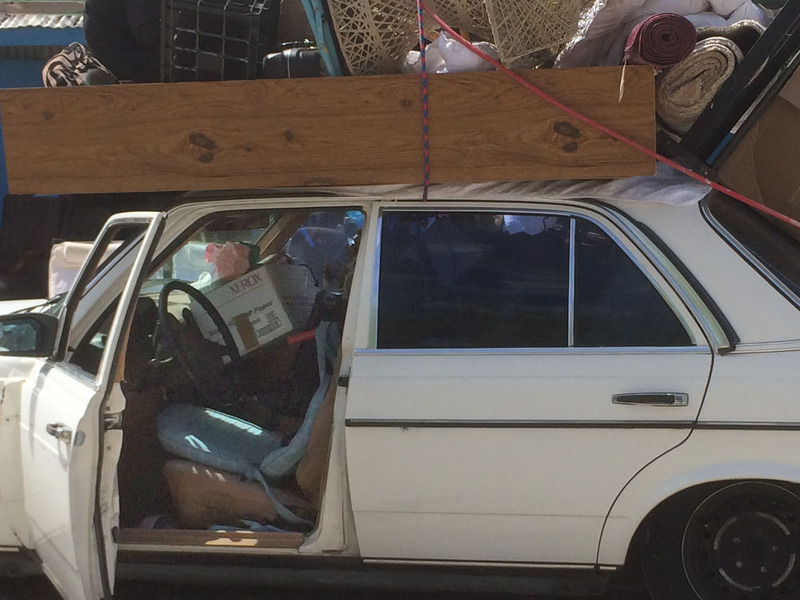 The interior of the car was similarly filled to overflowing with even more stuff. A nice and thoughtful touch is the towel on the roof, presumably to protect the paint. I’m not sure of the legality of all this, but my instinct tells me it’s probably pushing the definition of ‘Safe Load’.